In retrospect, the outbreak of the Second World War seems both obvious and inevitable. However, to many people at the time, particularly in Britain, there was a reason for doubt. The country went into the war unprepared, for a whole host of reasons. The British military had fine examples of intelligence work to look back on. In the early 18th century, the Duke of Marlborough had used a network of agents to keep him informed and to trick the French about his intentions. A hundred years later, the Duke of Wellington had made effective use of intelligence against Napoleon. Sadly, these lessons were mostly forgotten over the following century and in the grinding, often thoughtless warfare of World War One. Following that war, Britain’s intelligence services were neglected. 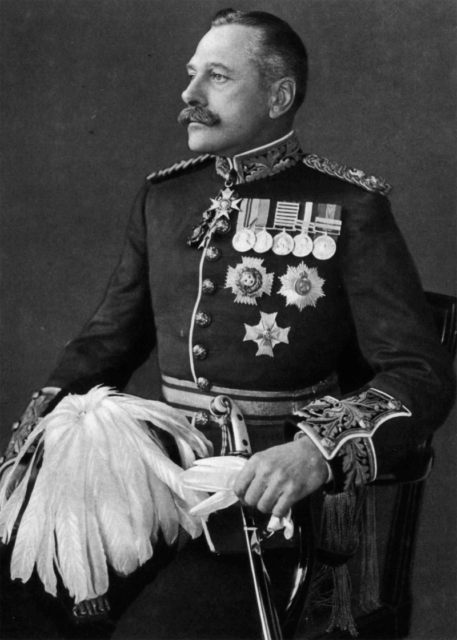 The famous Field Marshal Haig said there was little need for military intelligence between wars. As a result, the British were ill-informed about the German military at the start of the war. They were also poorly equipped to gather and analyze wartime intelligence, and much of the first year was spent hurriedly building a modern intelligence service. Tradition played a huge part in Britain’s approach to the military. In the Royal Navy, this meant promotion only for those who had proved their worth as commanders at sea. It made sense where the command of fleets was concerned but in specialist areas such as supply and intelligence, it was counter-productive. Experts in specialist fields were not recruited, encouraged, or promoted through the ranks. Similar attitudes held throughout the military. Although only a generation in existence, the Royal Air Force (RAF) had already developed traditions and beliefs that could not be shaken by mere evidence. From before the war broke out, one approach to bombing dominated the RAF’s strategic thinking. Commanders believed that by throwing enough bombs at the enemy, they could ensure victory from the air. 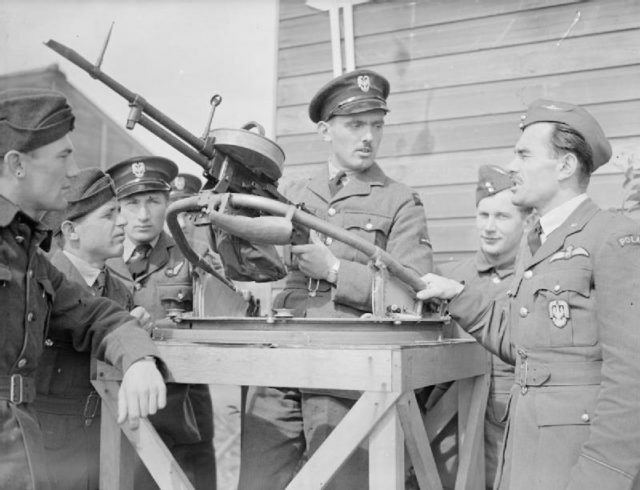 Trainee Polish air gunners receive instruction on a Vickers (VGO) K machine gun at a bombing and gunnery school. These were some of the Polish airmen who had escaped to Britain after the Battle of France, some of whom had been serving with the French Air Force. Never mind that they lacked the intelligence and guidance systems for accurate bombing. No regard was paid to the fact their bombs were not powerful enough to substantially damage German production. They also ignored the fact that if they had such bombs, they did not have the right planes to deliver them. As contradictory evidence mounted, this view persisted. When the air war intensified, photographic evidence showed that British bombing was nowhere near as effective as its advocates claimed. The response of Bomber Command was not to change its approach. Instead, it insisted that the photos could not be relied upon. Like any governmental service, the British military suffered from departmental divisions. The Admiralty, War Office, Air Ministry, and Foreign Office all had separate intelligence gathering operations. They guarded their findings jealously. Information was seldom shared. Work was duplicated. Intelligence was just one example of poor coordination across government and the military. Bad habits were built into procedures, rules, and practices. The pressure of the war showed the necessity of better inter-departmental cooperation, leading to innovations such as the centralisation of photographic reconnaissance. Neville Chamberlain is infamous for leaving Britain unprepared. The British Prime Minister from 1937 to 1940, Chamberlain firmly believed that war with Nazi Germany could and should be avoided. Encouraged by his advisors, he followed a policy of appeasement, making concessions to the Nazis rather than challenge their aggressive behavior. In the years before 1939, the far right was on the offensive internationally. Italy invaded Abyssinia in 1935. 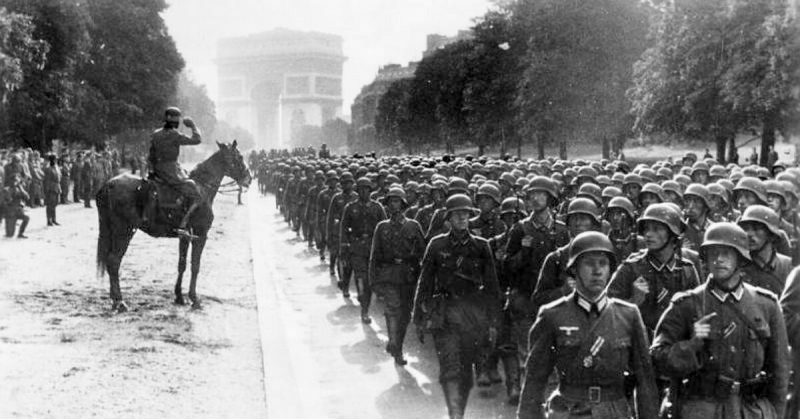 From 1936 to 1939, General Franco fought a war to overthrow the elected government of Spain. 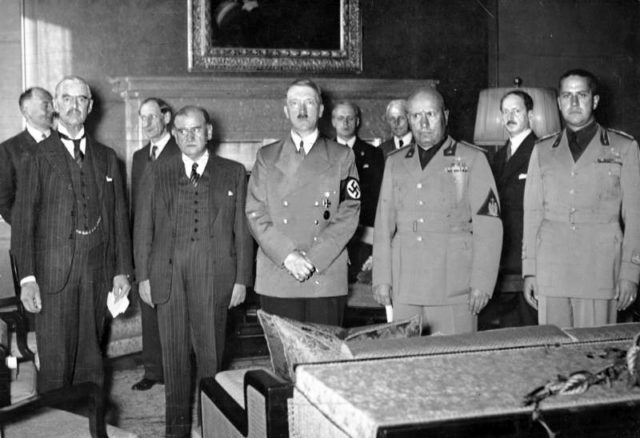 Chamberlain considered these events “a quarrel in a far-away country between people of whom we know nothing.” In the 1938 Munich agreement, he agreed to Germany annexing a large part of Czechoslovakia. No matter how hard Hitler pushed, Chamberlain remained in denial. Until the brink of Germany’s invasion of Poland, he believed that war could be avoided and so did little to prepare for it. Chamberlain often takes the blame for Britain’s policy of appeasement. However, he was not a rogue politician running against the will of the people. He was an elected leader reflecting the hopes and desires of his voters. British public opinion was strongly shaped by the hardships of the First World War. The blood needlessly spilled by a generation of young men was remembered by their children and by the survivors. Everybody wanted to avoid war if they could. This was reinforced by the conservatism that for centuries had shaped British politics. The British loved to avoid disruption. If they remained comfortable, they were content to stay ignorant of trouble in the wider world. Some Britons were aware of the danger. Young men went to fight Franco in Spain. Winston Churchill was loudly drawing attention to the threat of Hitler. For as long as they could, the British public pushed for peace. Even when he saw a need for rearmament, Stanley Baldwin kept it out of his 1935 election manifesto for fear of losing votes. The cost of the military affected both public opinion and government policy. The war of 1914 to 1918 had been hugely expensive. This had left Britain struggling to rebuild financially. 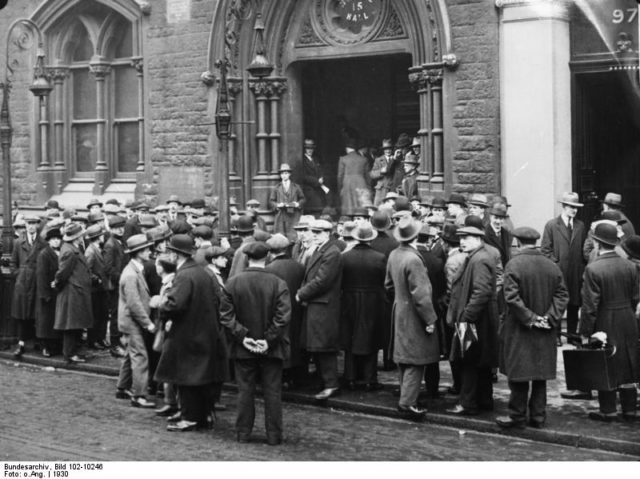 Then came the Great Depression in the 1920s, delivering a gut punch to the British economy. Money could not be spared to maintain a military ready for a possible European war. The result was the Ten-Year Rule. Introduced in 1919, it stated the country would not take part in a major war for the next ten years and so had no need to prepare in the next year. The policy, ironically created by Winston Churchill as Chancellor of the Exchequer, lasted until 1932. The long-term squeeze on military funding led to shortages in such vital areas as tanks, anti-aircraft guns, and cans to carry fuel. Many factors made Britain less than prepared for war in 1939. It was when they came together that the results were disastrous.